In pretty much every city, there is an area where vintage bikes proliferate. White wall tires, fixed gears and banana seats are commonplace. These bikes are not only functional, they are hip. Sure, vintage bikes—from road bikes to cruisers—are unique and fun, but when considering adding one to your collection, you might want to consider the pros and cons. 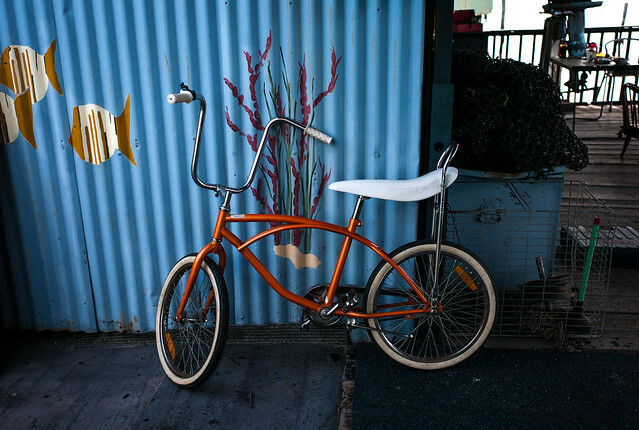 Perhaps the hardest part of procuring a vintage bike is just finding one to buy. 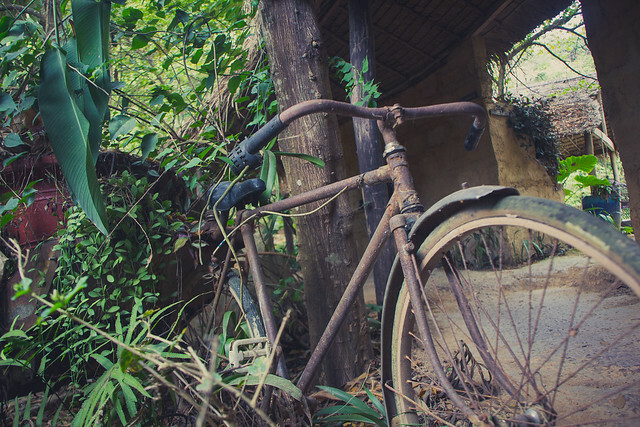 If you’ve ever shopped for a vintage bike, you know that it’s not an easy process, especially if you are on a budget. Since vintage bikes, by nature, aren’t produced anymore, the supply is limited and pricing is all over the map. Some people ask hundreds of dollars for their bikes, and others ask next to nothing. If you’re looking for something stylish and in good working order, you’ll have to pay for it, but compared to a new bike, the prices are often still affordable. It just depends what you’re looking for, how much you are prepared to spend and how much work you want to put into buying your perfect bike. A bike from, say, the 70s has 40+ years of experience, use and abuse. It’s hard to know this stuff at first glance or when you meet someone in a parking lot for a Craigslist sale. If you don’t know much about bike parts or repair, you may not know what to look for. (P.S. watch for excessive rust or wear, noticeable damage to the frame and broken or missing components). The upside here is vintage bikes are pretty simple machines. They don’t have complex components (no electric shifting or fancy hydraulic brakes here!) so they can be relatively easy and inexpensive to get in working order, but not always. Any time you buy a used bike, especially a really old one, you’ll probably want to take it to your local bike shop for a full tune-up. Some common replacements for vintage bikes include tires and tubes, cables and housing and the chain. If you have time and want to learn, you can always try to make some of the repairs yourself, or with the help of a knowledgeable friend. The thing people like most about vintage bikes is the aesthetic. 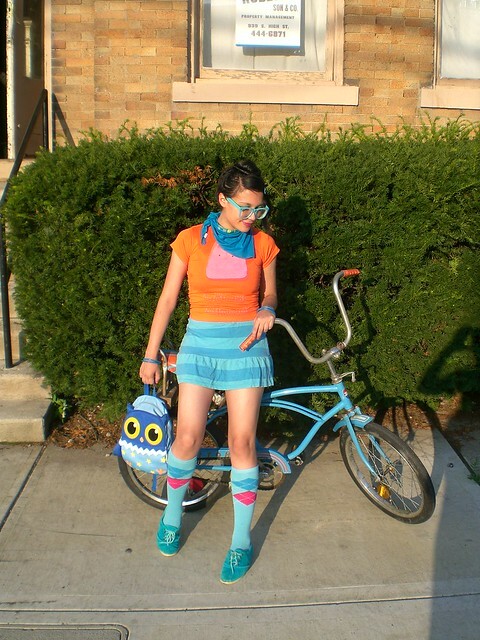 They are fun, come in a variety of colors and have become the unofficial commuter options for hipsters everywhere. They have a history and come with dings and dents, all making them more unique and less perfect and shiny. Plus, buying a used bike is a more eco-friendly way to shop. For most people, if they can get their hands on an awesome-looking vintage bike, they are thrilled, but there are some downsides to vintage bikes to consider. They have old technology and bikes have changed a lot in recent decades. Of course you could upgrade components to some degree to help if this is a concern. The things you might take for granted, like shifting with your thumbs, don’t always apply with vintage bike. These bikes are also usually heavy, made from steel rather than lighter weight materials of today. 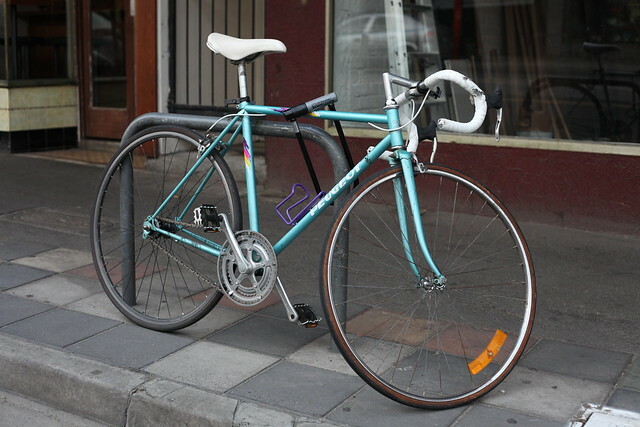 If you’re just commuting in town, these aren’t big deals, but if you’re interested in using a vintage as your primary bike, you might run across some simple problems, like using bike racks. Most vintage bikes have old bolt and nut configurations so you need a wrench for everything?even just adjusting the seat. And it’s not as feasible to put vintage bikes on certain bike racks, like the roof racks where you take the front wheel off. Another limitation is accessories don’t always fit right. You might have to retrofit water bottle cages or find that a set of panniers just won’t work. These drawbacks are easily dealt with, by getting an appropriate rack or carrying a wrench set with you, but for some, these are deal breakers. 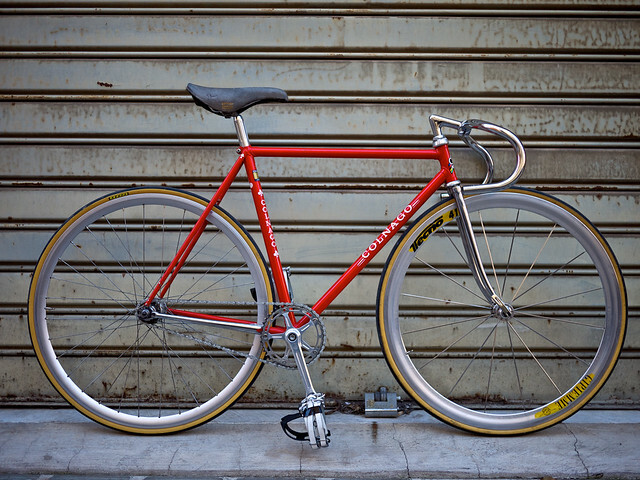 Here’s the thing: if you love the look of vintage bikes but aren’t willing to sacrifice for some of the cons, nowadays a lot of companies are making new bikes that look like old bikes. But for those of us who just love the look and history of vintage bikes, these downsides are minor. The key to shopping for any kind of bike is to consider these pros and cons, but at the end of the day, get whatever feels right.